These criminals don’t understand the language of peaceful protest! The workers of the detergent factory Dita told us that they had been on strike for more than a year and tried different forms of peaceful protests (including a hunger strike) that did not lead anywhere. When they demonstrated with other workers on the 5th of February, they were brutally attacked by the police. 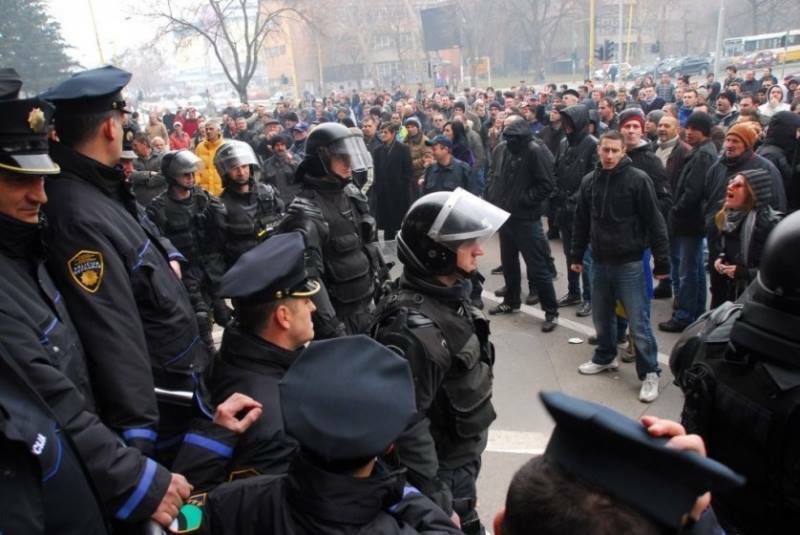 This provoked a massive movement of solidarity by younger people and unemployed, who took to the streets and stormed and burned the government building of canton Tuzla, forcing the government to resign (local authorities in Bosnia-Herzegovina are more important than national ones). In this short video, the workers tell us about the history of their struggle as well as their grasp of the movement that is currently shaking Bosnia-Herzegovina. This entry was posted in ΝΕΑ ΑΠΟ ΤΟ ΜΕΤΩΠΟ and tagged ΑΝΑΔΙΑΡΘΡΩΣΗ, ΒΟΣΝΙΑ, ΜΙΣΘΟΣ, ΤΑΡΑΧΕΣ on February 26, 2014 by simeioseis.